Benedict, T., Richter, J., & Gast, A. (in press). The influence of misinformation manipulations on evaluative conditioning. Acta Psychologica. Gast, A. (in press). A declarative memory model of evaluative conditioning effects. Social Psychological Bulletin. Van Dessel, P., Cone, J., Gast, A., & De Houwer, J. (in press). The impact of valenced verbal information on implicit and explicit evaluation: The role of information diagnosticity, primacy, and memory cueing. Cognition and Emotion. Gast, A. (2013). Evaluative Konditionierung. In C. Bermeitinger (Ed. ), Paradigmen der Kognitiven Psychologie: Affektive Reize II (pp. 257–285). Berlin, Germany: Uni-Edition. Potęga vel Żabik, K., Ruszpel, B., & Bielecki, M. (2012). Funkcjonowanie węchowe u osób z jadłowstrętem psychicznym [Olfactory function in anorexia nervosa]. Psychiatria i Psychologia Kliniczna, 12, 115–119. Ruszpel, B., Rudnicka‑Pietrzak, K., Sobolewski, A., & Potęga vel Żabik, K. (2012). 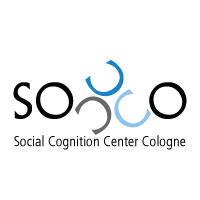 Wrażliwość sensoryczna a identyfikacja i ocena hedoniczna bodźców zapachowych [Sensory sensitivity and identification and hedonic assessment of olfactory stimuli]. Psychiatria i Psychologia Kliniczna, 12, 88–95. Lammers, J., & Gast, A. (2011). Power in the House. In T. V. Cascio & L. M. Martin (Eds. ), House and psychology: Humanity is overrated. Hoboken, NJ: Wiley. Spruyt, A., Gast, A., & Moors, A. (2011). The sequential priming paradigm: A primer. In K. C. Klauer, A. Voss, & C. Stahl (Eds. ), Cognitive methods in social psychology (pp. 48–77). New York, NY: Guilford Press.